The program features a halftime ceremony recognizing establishment of the Rear Admiral Kevin F. Delaney NROTC Leadership and Service Award Endowment, which will fund an annual award for an outstanding JU NROTC Unit member as voted upon by their peers. Admiral Delaney, who died in April of this year, was a JU Trustee, donor and parent, and his wife, Pat, will be in attendance, along with two of their three daughters, Kelly Delaney ’92 and Seana Delaney McAfee ’97; Delaney grandchildren; other family friends; and Trustees with whom he served. 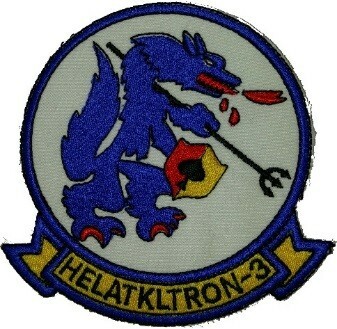 In addition, football team captains will wear the distinctive patch of the famed “Seawolves” Helicopter Attack Squadron 3, of which Admiral Delaney was a member. Admiral Delaney served as commanding officer of Navy Region Southeast, as well as of Jacksonville Naval Air Station. He flew 686 combat missions as a U.S. Navy helicopter gunship pilot with the Seawolves in Vietnam and retired as the most decorated officer in the U.S. Navy. 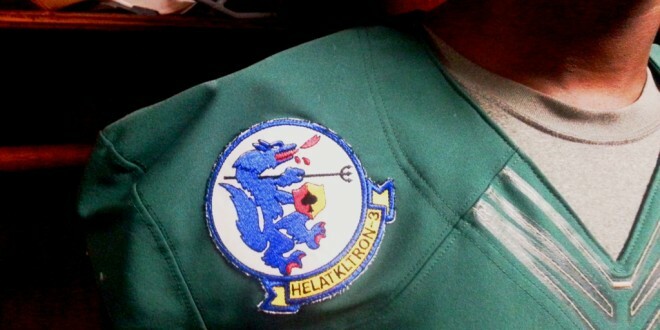 The Seawolves were a land-based Navy unit charged with helping naval riverine forces block North Vietnamese Army and Viet Cong infiltration and use of the rivers, canals and jungle that made up the Mekong Delta. 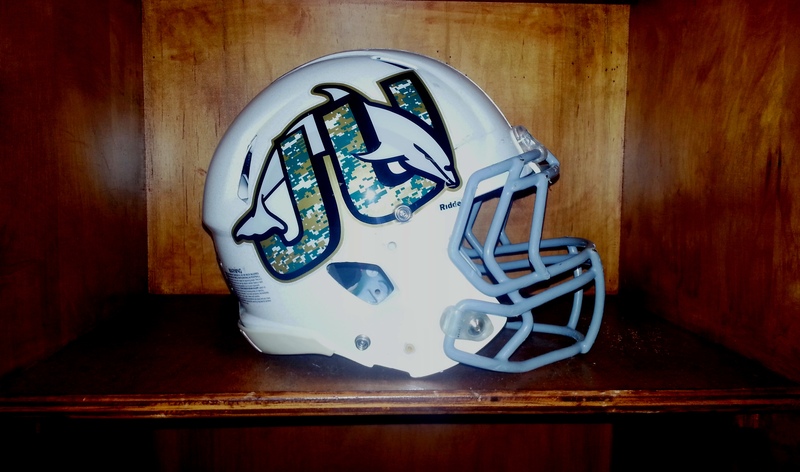 In addition to the patch honoring Admiral Delaney, each JU player will wear the military unit patches of JU student veterans, faculty veterans, staff veterans; Mayport Naval Station ships, Naval Air Station Jacksonville units, and Florida National Guard major commands. 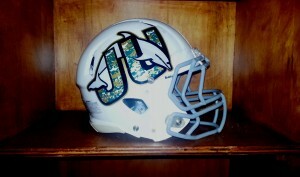 JU alumni are invited to submit patches for use in future Military Appreciation games. The JU Naval ROTC has also invited Junior ROTC units from throughout the city to attend the game, and local senior military leaders are expected to be on hand as well. JU is one of America’s most military-friendly schools, with student veterans making up more than 10 percent of its 4,000-plus enrollment. Its Defenders’ Den provides a centrally located study and lounge center for student veterans, and its Student Veterans of America chapter has been named a “National Chapter of the Month” by the SVA. JU provides a tutoring center, counseling center and scholarships to its veterans, and it is the first higher education institution in the U.S. to partner with the Children of Fallen Patriots Foundation to award scholarships to family members of deceased veterans. In addition, more than $5 million in VA benefits are paid annually to JU student veterans, and JU is a 100% Yellow Ribbon Match School. Its more than 40-year-old Naval NROTC Unit was the first chartered in Florida and has commissioned more than 1,500 Navy Ensigns and Marine Corps Second Lieutenants.